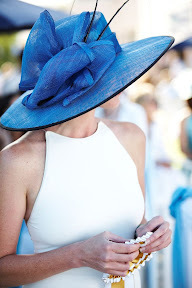 The L’Ormarins Queen’s Plate is the oldest and most prestigious event on the South African horse racing calendar. It will be raced for the 149th time at Kenilworth Race Course on Saturday, January 9, 2010. Although the country’s greatest thoroughbreds are the stars of the day, with elements of haute couture fashion, vintage cars and fine wine, it is also a highlight on the social calendar. Unlike the Met, there is a strict dress code so everyone has to dress smartly. There is also no option of just arriving and having a picnic on the grass, all entertainment is in the hospitality tents. Apart from a fun day at the races (I could do with betting tips, please email me) they have also got a top notch entertainment lineup for afterwards. Gang of Instrumentals, Just Jinjer, Goldfish and Shaun Duvet will all be performing. That is some serious entertainment and I, for one, will not be missing any of it. Come back here after the weekend to read my review.